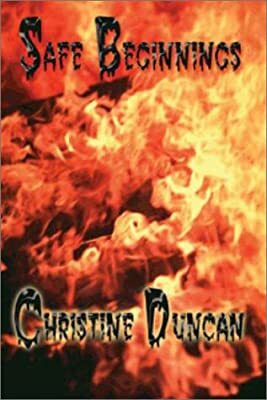 Author: Duncan, Christine Set In . . . Description: When the battered women's shelter's fire alarm goes off, counselor Kaye Berreano rushes to evacuate her residents. But it's too late. The new resident, Mary Ellen, is dead. Farrell, the blue eyed, police arson investigator, believes Kaye knows who set the fire. He even goes so far as to accuse Roger, Kaye's soon to be ex, who had been at the safe house earlier, arguing with Kaye. Farrell's other theory is that Mary Ellen set the fire herself in a suicidal moment. Kaye knows three things. She's no murderer, and jerk though he is, neither is Roger. And she'd bet her career as a counselor that Mary Ellen wasn't suicidal. The safe house residents are moved to a Red Cross shelter and Kaye's hours are cut. Broke but determined, she launches her own investigation while still attending to her divorce and caring for her two teenage children. Could it be the roommate who fought with Mary Ellen on the night of the fire? How about Amanda who beat her husband George and is stuck in the safe house by court order? Then there is the fanatical minister who unwillingly brought Mary Ellen to the safe house. Could this be murder in the name of Jesus? Come along with Kaye, as she finds out.